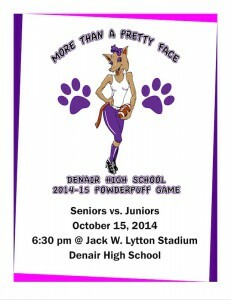 Every mid-October signals the time of year that the ladies take over the grid iron and invade Jack W. Lytton Stadium at Denair High School for the annual Powderpuff Game. This year’s game will be played Wednesday, October 15, 2014, at 6:30 pm. 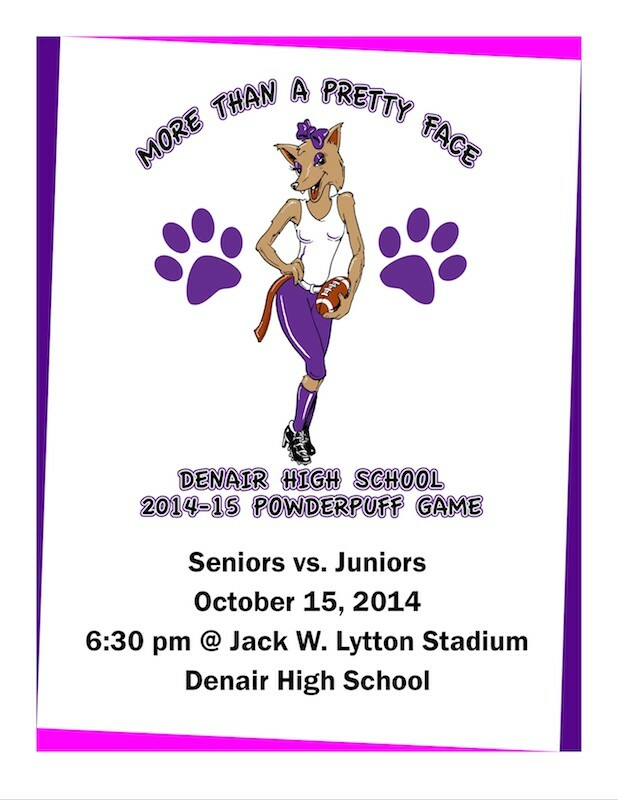 The 2014 Powderpuff Game between the junior and senior girls will be an exciting display of athleticism and competitiveness. The game is always a fun time for all, including the fans in the stands cheering, the players on the field giving their all and the all-boy cheerleading squads, showing their support and showing their moves during half time. The game is a fundraising event for Denair Sports Booster and Denair High School Wrestling. Gates open at 5:30 pm and start time is 6:30 pm. The cost to attend is $6 for adults, $5 for students, and $3 for students with an ASB sticker. There will be food available to purchase at the game. Both teams have done an excellent job preparing for the game and both squads look like they are ready to play. There are some great coaches volunteering their time to help them. Denair Head Wrestling Coach, and former Denair Assistant Football Coach, Don Helnore is coaching the juniors along with Denair Assistant Wrestling Coach and former Denair High School Football Player Matt Saldana, Denair Assistant Football Coach Andy Rutherford and former Denair High School Football Player Donny Helnore. The seniors have former Denair Assistant Football Coach Russell Steeley returning, to coach along with Denair Assistant Football Coach Rick Snyder, and a group of current football players. It looks to be an exciting game that will determine who will have bragging rights for the rest of the school year. Posted in News and tagged Denair High School, Football, Powderpuff, School Sports Boosters. Don Helnore liked this on Facebook.